This silver rechargeable Revolver Screwdriver looks like a, um, revolver and stores six different sizes of drill bits in its chambers. It also includes an AC adapter. Need I say more? Probably not, but I will anyway. 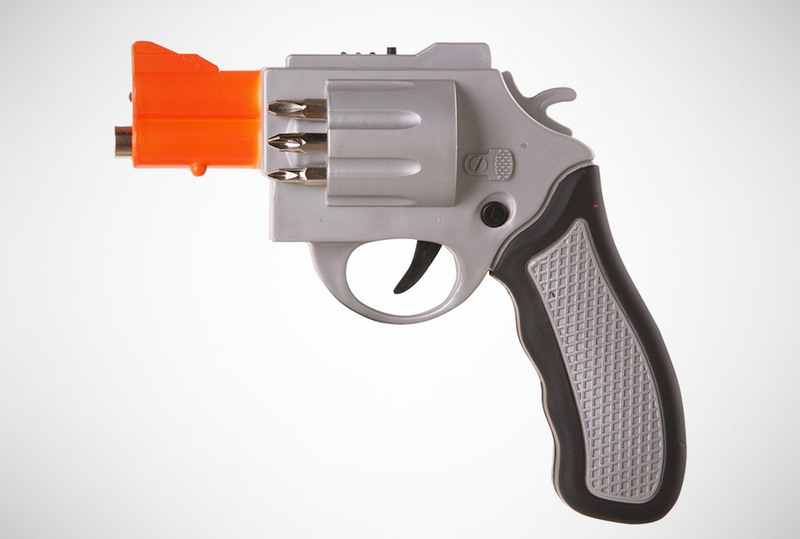 With this revolver screwdriver from Q-Gifts, you can quite literally take a shot at home repair.